Running errands, school drop off and pick up, sports practice, homework, dinners, packing lunches… all of the things that become routine when you have kids. Date night? That usually goes out the window with your baby’s first ear infection… for us, it never came back. It’s amazing how quickly you lose sight of those things. We didn’t miss date night, because we put the kids to bed at a normal bedtime that allowed us time to ourselves, but we did have to find other ways to connect. 1- Help each other out. Find time to spend together. We watch certain shows at night. Even if I am busy and he has an hour to spare, or the other way around, we won’t watch them without the other person. We also play board games together and it’s the same thing… we find an hour that we have to ourselves (usually at night) and we sit down and play: no phones, no TV… just us and the game. May the best man (or woman) win! 3- Don’t worry about the fairy tail. Those moments of you guys dressing up every Friday night to hit the town might be gone, but I’d give up my high-heels and dresses for a pair of yoga pants and a night on the couch watching a movie any day of the week. Once you learn to love the moment you are in, happiness is right there waiting for you. You have to keep the romance alive. Have date night after the kids are in bed. Hold hands. Hug. Kiss. Spend time together & compliment each other. 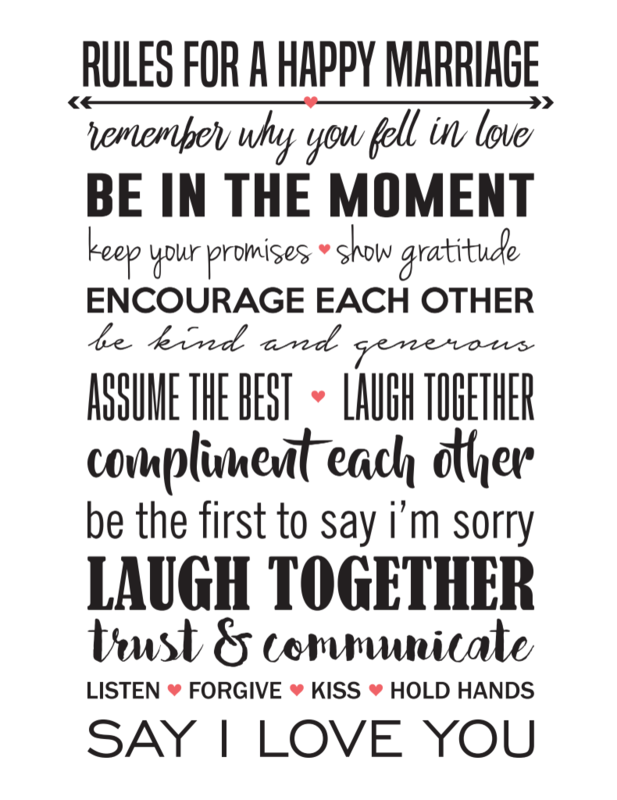 Grab these free rules for a happy marriage here. Becky Mansfield, wife to her high school sweetheart has been happily married since June 2004. She & her husband have four children. They work together, from home, on their blogs: Your Modern Family & Your Modern Dad. They keep their marriage strong by binge-watching Netflix shows, sneaking ice cream when the kids are asleep & making each other laugh.